The Anglican Church of Canada expressed regret on Monday for the "immoral sexual behaviour" of one of its priests and apologized for not publicly disclosing a confession made decades ago by Gordon Nakayama, who admitted to sexually abusing parishioners. The Anglican Church of Canada expressed regret on Monday for the "immoral sexual behaviour" of one of its priests and apologized for not publicly disclosing a confession made two decades ago by the B.C.-based priest, who admitted to sexually abusing parishioners. Gordon Nakayama's case was never reported to the police, but his story was the inspiration for The Rain Ascends, a novel by well-known Canadian author Joy Kogawa who is also the priest's daughter. The former priest ministered to the Japanese-Canadian community in B.C. and Alberta. During the Second World War, he followed his Japanese-Canadian parishioners from Vancouver to their internment camps. There were rumours he had abused young men and boys, and decades later he admitted it in writing to church officials. "I made mistake. My moral life with my sexual bad behaviour. I sincerely sorry what I did to so many people," he said in his confession to the church in 1994. Instead of reporting his admission of a crime to the police, the church locked away this painful secret because, it says, the community preferred that at the time. Nakayama, who was ordained as a priest in 1934, left the church in 1995 after being charged with immorality by the archbishop of Calgary. Now the Anglican Church says it regrets the harm done by Nakayama and apologizes for not making his transgressions public. "We deeply regret that Mr. Nakayama, while a priest, committed these acts of immoral sexual behaviour," said Melissa Skelton, Bishop of the Diocese of New Westminster, B.C. 'We express our deep sorrow and grief for harm which Mr. Nakayama did and we apologize to all whose lives have been affected." It's not clear how many were abused, but the church acknowledges there likely were many victims. Mary Kitagawa, who spoke on behalf of her uncles who were victimized, says she accepts the apology. 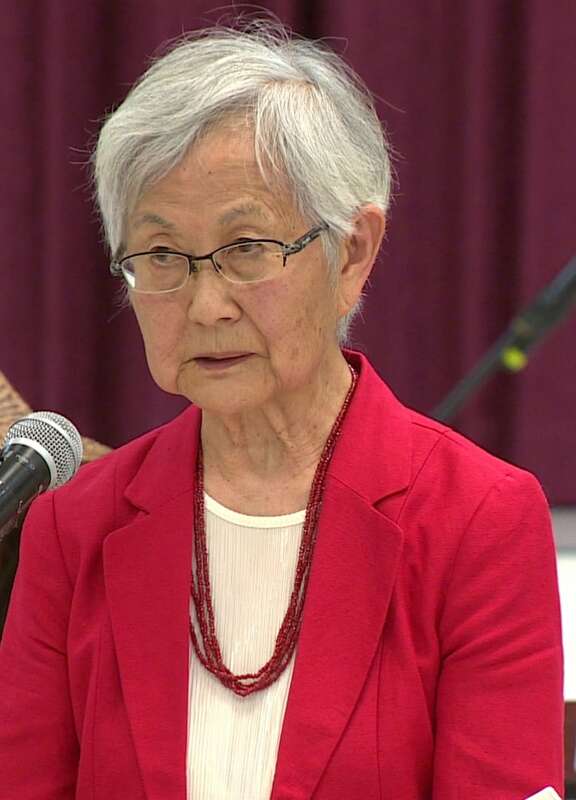 "I don't know how these words would be interpreted by the victims or if the words would even help to heal the wounds inflicted by the Reverend Nakayama," she says. "However I feel this process is a good first step, a beginning to minister to those who were harmed and are still in pain." No victim came forward to speak publicly on Monday. "Sadly, in reality the trauma cannot be reversed because the victims are very elderly now and have lived with this trauma since the time it happened to them in their youth," Kitagawa says. "They have locked away this secret due to emotional paralysis, fear-based pain and sense of shame might be forcing them to hide this ugly past." Nakayama died in 1995. Kogawa says she learned of her father's abuse when she was in her teens. She went on to write a fictionalized account of a woman who finds out her father, also a priest, abused young boys, and then struggles with the legacy of silence and a guilty conscience. 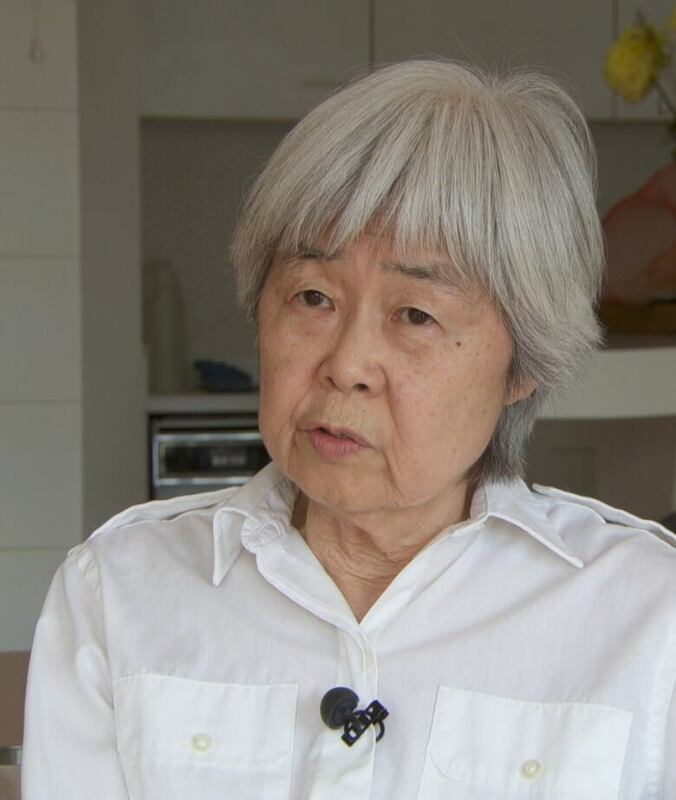 "What matters for our time is reconciliation, is truth telling, and sometimes it's the most painful and difficult thing, but when reconciliation occurs, it's the most wonderful thing," Kogawa said from her home in Toronto, in light of Monday's apology.